Thomas is a manual physiotherapist with years of postgraduate experience in orthopaedics, sports medicine, and manipulative therapy. After graduating from Queen’s University in 1995 he has practiced in a variety of clinical settings. 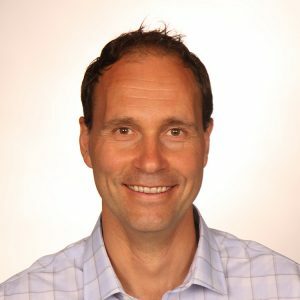 He completed a full-time post-graduate program in 1998-99 and received his first diploma from the Canadian Academy in 2000 and he continues as Instructor for the Orthopaedic Division of the Canadian Physiotherapy Association in the postgraduate manual and manipulative therapy educational program. Thomas also has an interest in traditional Chinese medicine and acupuncture. At the request of physicians in the Thornhill area who were not getting the results with their patients, Thomas opened Physioactive in 1999 with a goal of opening a clinic second to none. Thomas continues to teach and take postgraduate studies on a part-time basis. Completing the five-year Osteopathy Program at the Canadian College of Osteopathy has furthered increased Thomas’ knowledge base. It has allowed Thomas to improve results incorporating craniosacral, visceral and other osteopathic techniques into his physiotherapy practice. He has had great success in combining a variety of techniques to achieve maximal results with even the most difficult or complex clientele. He incorporates a wide range of techniques including spinal manipulation, myofascial release, spinal stabilization exercises, neural tissue mobilization, and medical acupuncture. Recently, Thomas has also completed his training for intermuscular stimulation (IMS). Having many “tools in his toolbox” allows Thomas to enjoy success in treating a variety of ages and conditions. With a growing interest in pediatrics and pre- and post–+natal care. Thomas has found great reward in successfully treating newborns and young children with varied conditions. Robyn holds an Honours Bachelor of Science (Biology) from McMaster University and a Bachelor of Science (Physical Therapy) from the University of Toronto. Robyn is a registered Physiotherapist with years of clinical experience in outpatient orthopaedic and sports medicine. Robyn thrives on empowering others by giving them a greater understanding of their body and their injury. She believes the best therapeutic results are obtained with patient compliance – by teaching ways to avoid aggravating a condition, building strength and endurance and preventing re-injury in the future. Passionate about postural education and core stability programs, Robyn also uses manual therapy to help clients’ progress. She has a keen interest in continuing education and furthering her skills as a clinician. Robyn’s professional style involves gaining a person’s confidence and trust, to make a difference quickly and have them tell others about their positive experience with a Registered Physiotherapist. She believes the biggest compliments come by way of referrals. Caroline first identified with her passion for human movement through her degree in kinesiology from McMaster University. She moved on to complete her Master’s of Physical Therapy from the University of Western Ontario in 2012 and has been working in an orthopaedic setting ever since. Having treated a wide range of orthopaedic conditions, Caroline has come to understand that each client needs something different from her in order to succeed and believes that developing functional goals is the key to effective rehabilitation. Caroline is certified in acupuncture by the McMaster University Medical Acupuncture program and has passed her Intermediate Practical Exam through the Orthopaedic Division of the Canadian Physiotherapy Association. She has also recently completed courses in management of concussions and vestibular dysfunction. 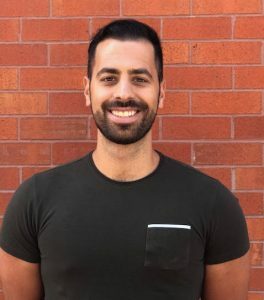 Nicholas Biasini is a graduate from the Physical Therapy program at the University of Toronto. Prior to that, he completed his Honours Bachelor of Science degree in Kinesiology at York University. Nicholas’ pursuit in becoming a registered physiotherapist is a result of his long-time passion for discovering how the human body functions, combined with his genuine desire to help others. Nicholas is devoted to expanding his expertise and skill set through post-graduate courses, in order to best serve his clients. At this time, Nicholas is certified in soft tissue release, as well as working towards an advanced manual therapy certification from the Orthopaedic Division of the Canadian Physiotherapy Association. Nicholas believes that patient education is an invaluable and essential tool in empowering his patients to take on an active role in their rehabilitation. 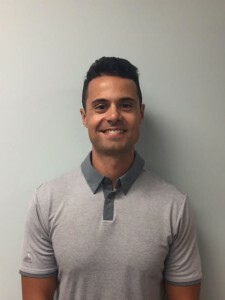 Nicholas combines injury-relevant education with hands-on manual therapy techniques, and therapeutic exercise prescription, to best help his patients return to their optimal physical functioning. With these tools, Nicholas aims to pinpoint the root cause of his patient’s pathologies, rather than just treating their symptoms. His interest and success with high-level athletes and weekend warriors, combined with his extensive skill set makes him a valued member of our Physioactive team. Outside of work, some of Nicholas’s hobbies include hockey, tennis, weight lifting, and spending as much time outdoors as possible! During the summer months, Nicholas also enjoys traveling and spending time on the lake at the cottage. Rebecca Greco received her Bachelor of Science Degree in Physical Therapy from Langston University Health Sciences in Langston, Oklahoma. 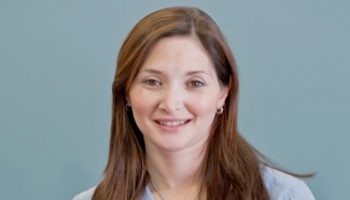 Rebecca has practiced for the past 18 years in Canada specializing in primarily orthopaedic and sports injuries. She treats all populations, from the weekend warrior to high-level competitive athletes at the provincial and national levels. She has taken numerous postgraduate courses at the Advanced Physical Therapy Education Institute (APTEI) in manual therapy, upper/lower extremity, and spinal rehabilitation chronic pain, sport specific training, and taping, bracing, chronic pain. She is certified in acupuncture through the Acupuncture Foundation Canadian Institute (CAFCI). She is an active member of the Canadian Physiotherapy Association, and a member of the Canadian Orthopeadic Division. She enjoys staying abreast of current, relevant research and attends continuing education courses on an annual basis. Rebecca focuses on and is her passion to provide knowledge and education to empower her patients to see them through in reaching their functional and fitness goals. She enjoys spending time with her family traveling, cooking, and staying fit with, fitness classes, cycling Pilates and yoga. She is a life learner and incorporates her knowledge of nutrition, and total wellness coaching into her practice. Andrew Conroy, Reg. PT. Grad.Dip.Phys. Andrew graduated in the U.K. in 1987 and since 1989 has had extensive experience specializing in Orthopaedic and Sports Injury Rehabilitation here in Canada. Working closely with the North York General Orthopaedic surgeons Andrew has an up-to-date and thorough knowledge of the latest surgical approaches to both upper and lower extremities and their post-operative rehabilitation. In addition, he has treated a wide range of non-surgical conditions successfully. A passionate teacher, Andrew has been an instructor in numerous community settings covering such topics as ‘Backcare and Lifting’ for Healthcare workers and the ‘Benefits of exercise’ for the Diabetic and Coronary health population. He has been a Clinical Instructor for many PT students and is a credentialed clinical instructor with the American Physical Therapy Association (APTA). He brings this ability to educate in the clinical setting to ensure the client/patient has a thorough understanding of their condition and the approach to treatment. His constant pursuit of knowledge through completion of numerous post-graduate courses allows delivery of precisely targeted treatment to achieve successful outcomes for patients and the attainment of their functional goals. It is this individually tailored treatment approach, combining care with clinical experience, in a comfortable, professional manner, that enthuses Andrew in his work as a Physiotherapist. 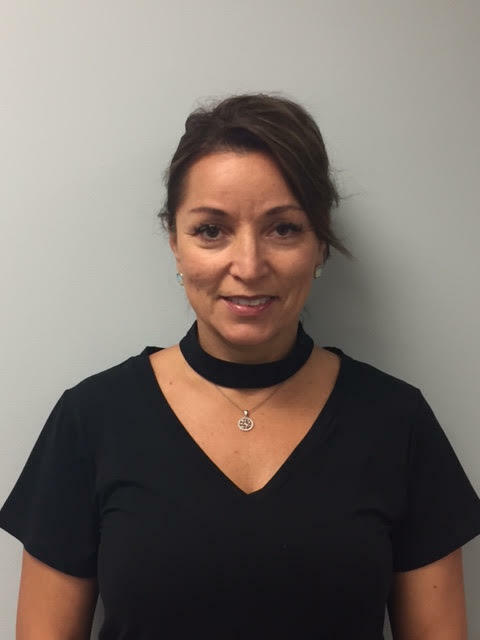 Nicole earned her Bachelor of Science degree in Kinesiology and Health Sciences from York University and her Master’s of Science degree in Physical Therapy from the University of Toronto and has several years of experience in orthopaedic and sports injury rehabilitation. Nicole has also obtained her Certification of Medical Acupuncture from McMaster University and is currently working towards completing her Diploma of Football (soccer) Medicine through FIFA and her advanced manual therapy certification from the Orthopaedic Division of the Canadian Physiotherapy Association. Nicole has extensive experience working with elite athletes in strength and conditioning, sports performance training, and on-field and off-field injury prevention and management. She has also completed her yoga instructor certification and enjoys integrating yoga exercises into her physiotherapy treatment for those yoga enthusiasts. 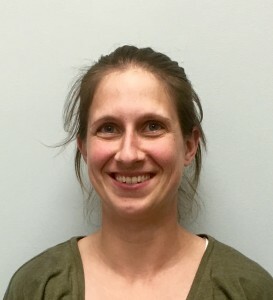 In the clinic, Nicole uses a variety of techniques including advanced manual therapy techniques, myofascial release techniques, acupuncture, and specific exercise prescription. She looks at the body as a whole to get to the source of your pain, effectively heal the underlying pathology and prevent recurrence. 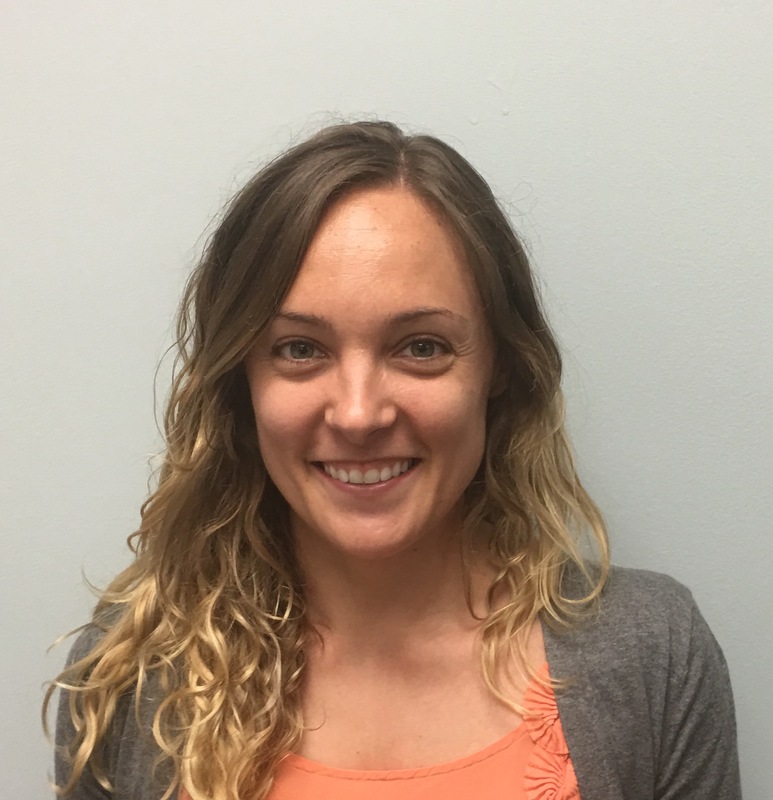 She has a passion for engaging patients to achieve their activity related goals, whether it is to return to work-related tasks, leisure activities, high-performance sports activities or simply everyday tasks. Nicole is an avid athlete herself and has competed at the Provincial and National Championships with the York and U of T Women’s soccer teams. She is also an outdoor enthusiast enjoying a variety of activities including hiking, mountain biking, and skiing to name a few. 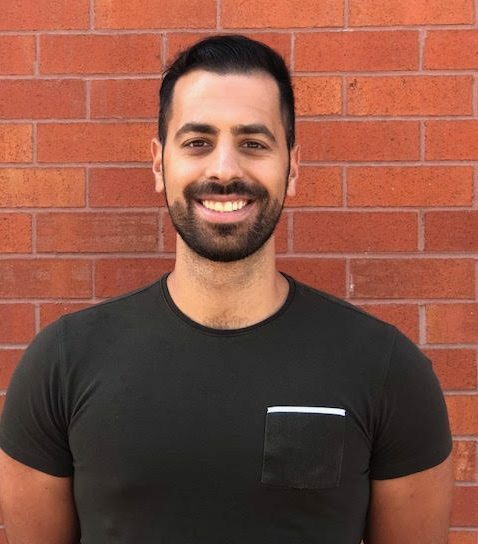 John Coluccio graduated from the Physical Therapy program at Queen’s University in 2016 and eagerly continues to expand his skills set to serve you better. He has taken many post-graduate courses in acupuncture, dry needling, soft tissue release, and manual therapy and is currently working towards completing the advanced manual therapy certification from the Orthopaedic Division of the Canadian Physiotherapy Association. John is passionate about helping his patients in achieving their maximum movement potential, whether it is related to sports, occupation or lifestyle. John believes education is one of his greatest tools in empowering and inspiring his patients to take ownership of their care. Nonetheless, he utilizes a combination of manual therapy, acupuncture, exercises prescription, as well as other techniques to provide his clients with an optimal treatment plan to reach their goals and to effectively deal with the source of the pain or functional limitation. When he isn’t hard at work serving the community, John enjoys bicycling, soccer, hiking the outdoors and weight training. John also loves spending summers at the cottage and traveling around the globe. Aparna Brahma is a Registered PT practicing in Canada since 2008. She is a certified Acupuncture provider and Pelvic health physiotherapist licensed with the College of Physiotherapists of Ontario. She is a dedicated member of the Canadian Physiotherapy Association. Aparna graduated with a Bachelor of Physiotherapy from India in 2004. With the intent of having a better understanding of age-related changes on the musculoskeletal system of the human body, she decided to pursue post graduation from Western University, London ON. Her research involved studying age-related changes with exercise in residents of Long Term Care facilities. She graduated with a Masters of Science in Physical Therapy in 2007 upon which she set her foot into the private healthcare system. In her several years of clinical experience, Aparna places patient education to be of paramount importance. She notices a positive prognosis in her patient’s health condition and steady compliance with treatments with “patient-invested” approach. She stands by the quote “It’s never too late to start” and always encourages her patients for taking their first step towards improved quality of life no matter where the starting point is. Aparna believes that “Learning stops when intent stops”. In her quest to continue education, she has recently completed Level 2 certification in Pelvic Health and has been providing treatments for pelvic floor dysfunction such as incontinence and prolapse. She has adopted a multi-factorial treatment protocol to bring a global change in her client’s health condition. Due to the continued demand of our pelvic health program. Addressing all the concerns of pain, incontinence, and dysfunction. Aparna continues to develop her post-graduate skills in this regard. 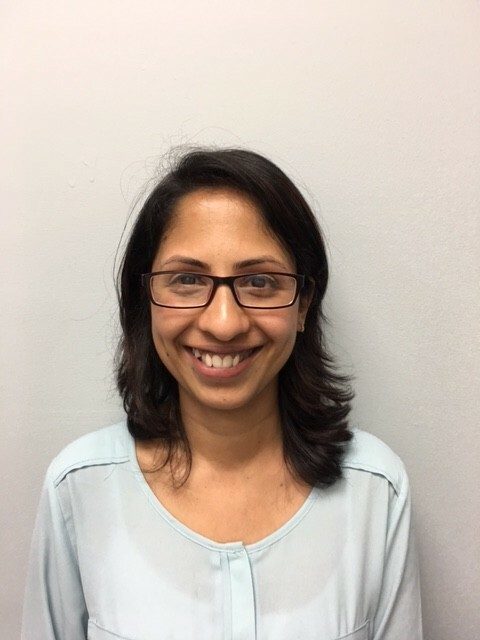 Aparna works with our other practitioners to maximize the health of our clients. Kinjal Parikh is a registered physiotherapist and yoga specialist with over 10 years of clinical experience. After graduating in 2005 she began her physiotherapy career at a 50-bed hospital, gaining experience with a varied caseload. She has also been a lecturer for undergraduate Physiotherapy students. In 2009, she became a registered physiotherapist in Ontario and, since then, her main area of expertise and clinical practice has been orthopaedics. 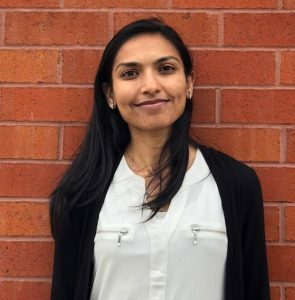 Kinjal has been highly successful in treating a range of musculoskeletal conditions, some of which include soft tissue injuries, a variety of joint pains, pre- and post-surgical (including joint replacements) cases, and more complex conditions including injuries sustained in motor vehicle accidents. Kinjal maintains a holistic approach when treating her clients and believes that, although they may present similar symptoms, every person improves quicker with an individualized approach. Throughout her career, she has been driven to stay up to date with the advances in research and treatment practices, and regularly upgrades her knowledge and skills through literature reviews and continuing education courses. In 2018, Kinjal decided to better serve her clients and extend her passion for yoga by becoming a certified yoga teacher (CYT-200). She often incorporates her advanced knowledge of yoga and biopsychosocial approach into physiotherapy with unique breathing techniques and poses, making sure to appropriately modify for each individual requirement. Physioactive has benefited from Kinjal’s Yoga experience, which when combined with the science of anatomy, healing and injuries, become a highly effective healing pain. This unique combination is effective in treating complex conditions that require a global approach to care and has been very effective in transitioning Physioactive clients from rehabilitation patients back to the gym and exercise classes including Yoga. Her Yoga knowledge has also been incorporated into our scoliosis program. In addition to her passion for health and wellness, Kinjal enjoys running, motherhood, and baking yummy cupcakes! 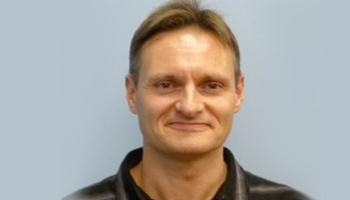 Yury is a graduate of the Canadian College of Massage and Hydrotherapy and is a member of the Registered Massage Therapy Association of Ontario. He has a wealth of experience in pre/post-Athletic massage, sports related injury massage. He has had great success in treating a variety of clients suffering from a wide array of complaints. He enjoys helping his clients from simple aches and pains to more complex conditions resulting from sports, weekend warrior injuries and motor vehicle accidents. If all you need is some stress relief, Yury is your RMT. Yury gains gratification on educating his clients on the nature of their injuries, how the body works and how to take preventative measures to avoid future injuries from re-occurring. Shirley is a Registered Massage Therapist with years of health & wellness experience, from hospital to hotel spas, doing hands-on work, management, and education training in between the two extremes. After graduating with honour from the 2200 hour Ontario massage program, she has practiced in a variety of settings, including spa, sports club, and physiotherapy clinic. She also achieved both hospital & sports outreach certificates in addition to the required school clinic training. After registered with CMTO as RMT, Shirley attended massage conference on a regular basis and furthered her training in pregnancy massage, Soft Tissue Release for treating tight muscle, ultrasound treatment, TMJ/jaw treatment, chair massage and has basic knowledge of Matrix Repatterning, NISA, Chakra, Reflexology, Acupressure and Zen Shiatsu. True to her desire to always learn new skills and treatments in holistic wellness, Shirley’s current focus is in Traditional Chinese Medicine and Acupuncture. She will be sharing knowledge of Qigong and Tuina with her clients soon. Josee is a graduate of The Michener Institute for Applied Health Sciences’ program in Chiropody. She is highly experienced in biomechanical analysis and in the casting of custom foot orthotics for a wide spectrum of disorders. Josee is available for onsite consultations at our clinic for assessment, prescription, and provision of custom foot orthotics. She has had great success in treating conditions ranging from Achilles tendonitis to foot pain, low back pain and even headaches. 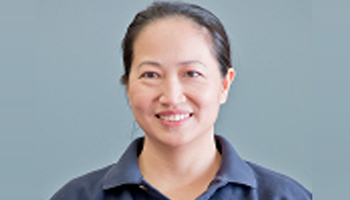 She is a useful member of the Physioactive team in order to prevent recurrence of our clients’ pain and dysfunction.